In the 2019 federal Budget, the Trudeau government promised that all Canadians will have access to high-speed Internet access by 2030, 95% by 2026. In nearly two years, in 2021, the government says that 91% of Canadians will have access to this high-speed connection. This gives the government a time frame of 11 years. The budget announcement values itself at $1.7 billion. The government didn’t say which provinces and regions will be the first ones to take advantage of this program. A lot of residents living in rural areas in Pontiac don’t have access to Internet connection. This issue was also discussed by all main political parties during the last provincial elections in fall 2018. “I am especially proud to see that the Government of Canada is making the commitment to connect all Canadians to high-speed Internet within 10 years,” said the Pontiac federal MP William Amos. Mr Amos used his one private members’ bill opportunity to table the access to high-speed Internet bill last fall. The definition of “high-speed” Internet determined by the Canadian Radio-television and Telecommunications Commission (CRTC) is set at 50 Mbits/second. 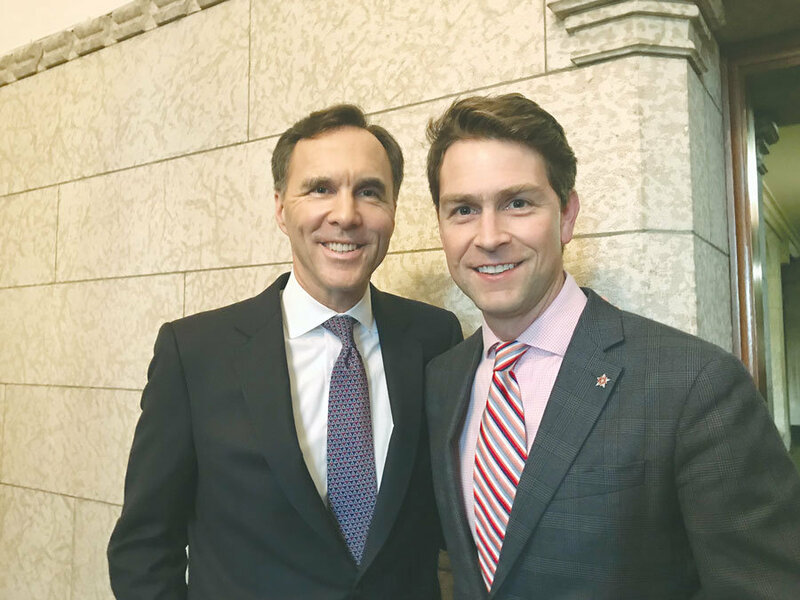 The budget called “Investing in the Middle Class” was delivered on March 19, by Minister of Finance Bill Morneau.